We do not collect or retain any personal information unless you choose to provide it to us. You can revoke your consent at any time, in compliance with CASL and GDPR. When visiting our website, thinkit creative, only non-personally identifiable information is collected, such as the name of the domain from which you access our site, date and time of your visit and the IP address of the website from which you linked to our website. Our newsletter, CreativeBoost, is distributed on an opt-in only basis. You can unsubscribe from it at any time. We do not share or sell our email list with anyone. Plain and simple. Articles posted on this site includes information designed to help our readers better understand the principles and practice of marketing. We’re not lawyers and none of our advice should be considered legal advice. We retain all rights to publish extracts of our paid work for self-promotional purposes (i.e., portfolio), unless expressly agreed to by a signed non-disclosure agreement. All products we prepare for you as a client remain our property until payment is made in full. Payment for products/services rendered are payable in Canadian Dollars unless otherwise stated. 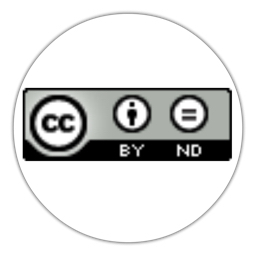 Select content is available under a Creative Commons attribution licence (i.e., allowing you to distribute or display certain works on condition that you ask permission and give credit). Contact us for details. Technical notes about thinkit creative. This site is powered by WordPress, using the Genesis framework. As always, strong coffee and good karma keep everything running properly. Patrick Gant’s profile photo composed by Justin Van Leeuwen of JVL Photography. Select product mockups provided via placeit.net. Select blog post photos are provided by the generous community at 500px. Secret fuel behind our creative power. Our studio’s creative powers are regularly inspired by Louis Armstrong singing “Sleepytime Down South” acapella, the genius of Don DeLillo, iconmonstr, the complete 1949-1957 New Orleans recordings of Professor Longhair, the collected works of Pablo Neruda, early 70’s era-biker metal, Gretsch guitars, Thich Nhat Hanh, Bywords, Ella Fitzgerald, Angry Birds, Paul Auster’s “New York Trilogy,” Django Reinhardt’s ability to transform a minor key into sunshine, Steve Earle’s “Train A-Comin,” how blues and bluegrass are easy to learn yet difficult to master, Gorillaz, Brian Setzer’s guitar lessons on YouTube, Kermit Ruffins’ Rebirth Brass Band, Satay-style Pho, John Coltrane, Charles Bukowski and 1930s-era resonator guitars.